Do You Have a Double Tapper Breaker? 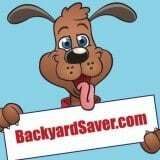 Ask any home inspector and they will tell you how prevalent the problem is. But what is a double tapped breaker? 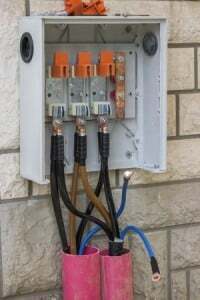 A double tapped breaker is classified as a circuit breaker that has two circuits connected to it when it is only designed for one. Not only is this a potential fire hazard, it screams that there was electrical work done by someone who is inexperienced. This leaves a bad taste in a potential buyer’s mouth, or in the current homeowners mouths if they paid to have the work completed by what they thought was a qualified electrician. The good news is that there are fixes for this particularly common problem. The first thing you need to do is examine the breaker closely. Most breakers have diagrams showing the proper way of connecting the circuits. Do You Have a Double Tapped Breaker? If yes, you then need to decide what the best repair is for your situation. The most obvious fix would be to simply add another breaker. This way, you are ensured that the circuits have their own dedicated breaker that fits properly and holds the wires tightly, decreasing any potential for a fire or short. But what happens if you have no room left on your breaker box for a new breaker? Another solution is to pig tail the circuits. This is not something you should attempt on your own. This is the quickest and most economical way of repairing a double tapped breaker. If your breaker box is designed to hold tandem breakers, this would be another option to correct your double tapped breaker. A tandem breaker is designed to hold two circuits, as opposed to one. These can often fit into the same space that a single breaker would fit, if your breaker box allows. Regardless of which option you think fits your needs best, it is always recommended and often required that you contact a licensed, qualified and experienced electrician to ensure that things are done safely and correctly. Go and check your breaker box. Do You Have a Double Tapped Breaker? This entry was posted in Electrical and tagged breakers on October 6, 2015 by admin.